Chat it up on the forums and share your build! Very Cool! loved the build off- you should do somethings similar to this format. Can't wait for the kraken as well. Keep it up FT! giant sized FT versa IIRC? How did you attach a high start hook? Where exactly should it be placed? I attached a pice of copper bent into the shape of a hook 1inch ( 25mm ) in front of the hole in the towing nose, using hotglue. It works good so far. You should definatly tow this with the FT duster or baby blender. Excellent kit! I have always been interested in one question. 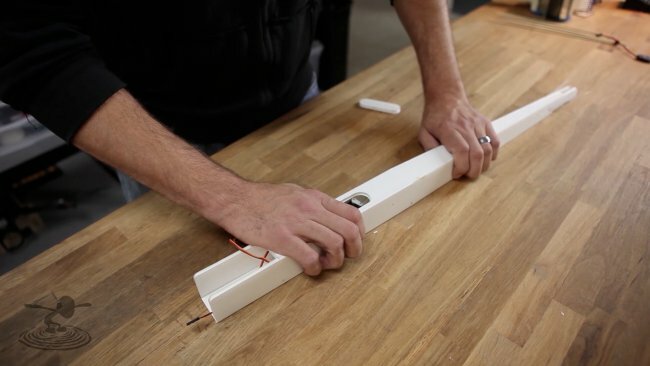 What kind of hot glue gun do you use? Specifically, it is a surebonder that you can buy at hobby lobby. I just bought a 6 lb. box from amazon for $30. That's 110 10" sticks. It's a little over kill but that is dirt cheap. Very nice job on the build. A+. Would really like to see a DLG glider produced. I know this my be an impossible request, but it's mine. Tow string, plastic bag, dog and frisbee NOT included in the speed build kit. Hmm, I'm thinking of adding ailerons, flaps and v-tail to this.. bad idea? I built mine with flaps and it is amazing. 6inch flaps my 2inches deep works well. I was able to get my 125% ft flyer to take this thing up with no problems today. Vtail I'm not sure of tho. Happy flying. V-tail would be more draggy than the T-tail. You'll lose more speed due to needing movement of both surfaces for every control input. That said, it should be easily done if you prefer the design. I also added flaps, 7 1/2 by 1 1/2 inches, and it slows down to a crawl. I would recommend putting the flaps on the throttle stick. 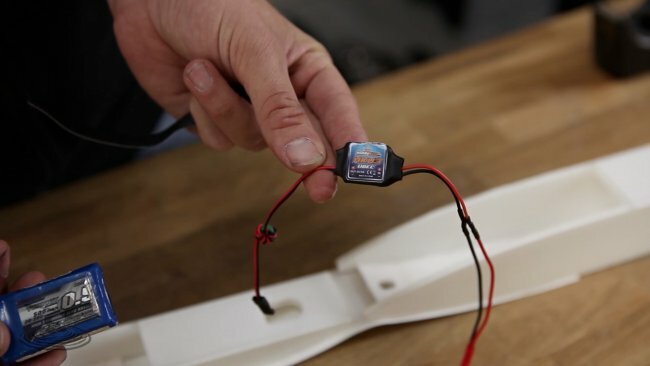 Just plug the servo you are using for the flaps into the throttle slot in the receiver, just make shore that when the throttle is on full the flaps are up, and when the throttle is chopped the flaps are down. Then again the simple soarer is lightweight. What about plans for the beast David was flying? That's what i've been waiting for, show us David's beast! Next design a foam DLG!!! 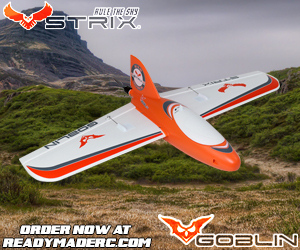 This glider is a scaled up version of the OSG glider from rc groups. Wing cord is wider but same design. Very fun glider. I use my pod on my OSG the same shown here. 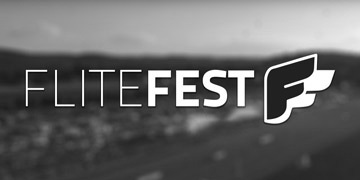 Good work flitetest. has anybody counted how many time josh said "simply"? Great design, and the dog was brilliant. More gliders please. i'm going to make this cool glider!!!!!!! 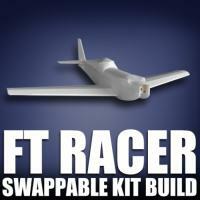 Is the simple soarer able to support fpv like, say, a bixler would? Hey, just took my Simple Soarer out for it's maiden this morning. It is AMAZING! I have only been flying since september and have destroyed three planes in crashes before even getting up in the air. I launched this one off of a High Start (Mounted the hook @ the CG ESS075) and had a bunch of crash free flights. It did everything I wanted it to, and it was a dream to fly. I was even able to land it without the slightest damage. Thanks Josh and Flitetest crew for an awesome plane and the best show on YouTube. Also, thanks for the dog tow idea. I have two that could use something to do while Im flying. I know a lot of the swappables have been run on 2200 3s, could this guy carry the extra weight? The 2200 3s would ( to put it bluntly ) make this thing fly like a rock. Keeping it as light as possible is defiantly the way to go. I use a minimal amount of hotglue in the tail and a 650mah Li-Po battery in the nose, 5g servos and this thing flies for ever. And the rough airframe weight is around 310 grams. I flew the simple soarer on a 3s 1300 mah and it flew fine. My guess is it won't do as well with a 2200. Did anyone notice the plane on the table behind Josh? 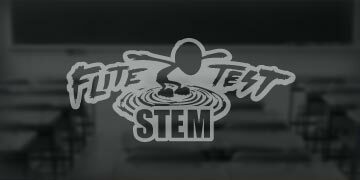 That is a sneek peek of the next plane being released! 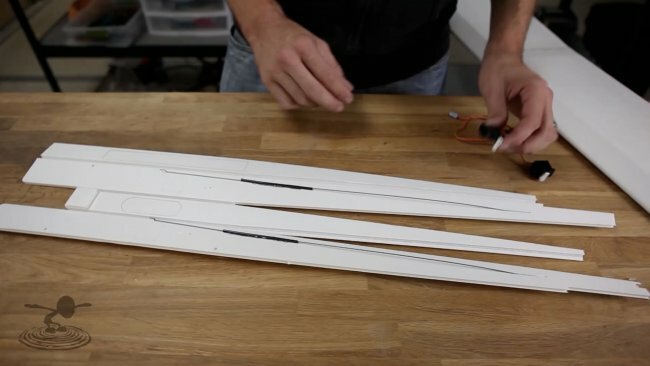 For anyone building this and wanting to cut the 4 deg. downthrust into the power pod, it is quite simple. Just remove 2.5mm from the bottom front of the pod and taper the sides up to the top corners to match. How many millimeters is the CG from the leading edge? just try it under the spar. maybe a bit towards the front of it. Starting at 34:20 it gets to be hilarious! Really, really nice video on this wonderful glider. 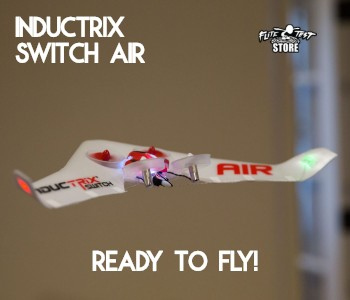 I am trying to build it together with my son (8 years old) and hoping it will be the plane for him to learn how to fly RC. When working out the plans on scale, I noticed that the spars are not drawn on the plans, the length should be the same as the shorter part of the wing on the plan, however the width is not mentioned anywhere (from the video I guess it to be about 1 inch), also the hight is not clear (it appears to be two layers of 5mm foam board). Can anyone confirm this please (ceramic999@gmail.com)? 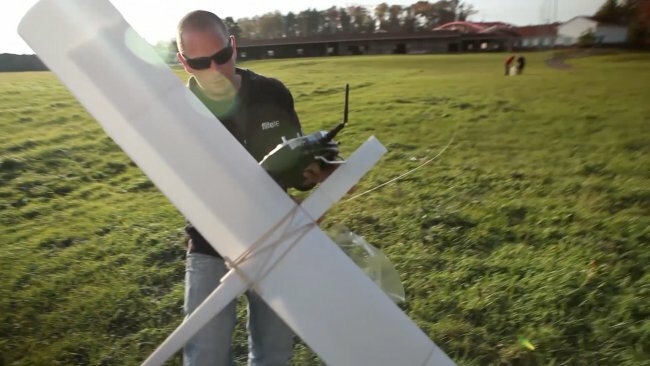 I am quite possitive the we can complete the glider, the plan and the build video are really good, thanks Josh, keep them comming like this !!! Ahhhh stupid me, the spars ARE drawn of course, they are just drawn directly to the wing and not separately.... Sorry guys. Anyone having any specs, mine end up being a massive 700 grams (w/o battery) which is way to much in my opion. Might save a bit of weight when I use a ubec instead of a heavy 25A broken esc with battery adapter (BEC still works :P).... But ill need to ad more weight to balance it...... 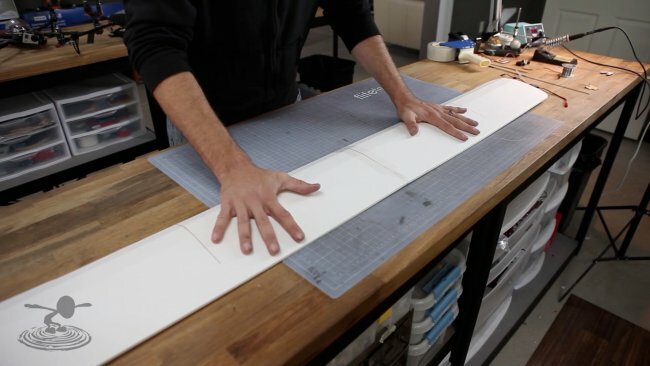 Anyone tried using the 3mm foamboard instead? I think your scale is broken, or you use a TON of hotglue. Mine came out at 320 grams without the battery. where do I find a 2 amp UBEC, i can find a 3 amp from hobbyking, it this the correct one?? 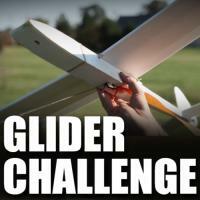 Any UBEC will work for this glider. In the build Josh mentions (and closeups reveal) that he cut off the last hole on the servo arm(s?). Why? He doesn't cover it specifically so I'm assuming it is something that is well known. I failed to notice this while doing my build. I used the second hole from the tip on both servo arms and it seems like I have excessive throws which I can not correct in plane without doing some major retro work on my fuselage. It seems like perhaps the third hole from the tip would have been correct. I'm an absolute noob (zero flight seconds recorded to date). I hope that I can account for this in my transmitter setup (don't have a transmitter yet...waiting on shipment from HK). Why was the last hole cut off the servo arm? Can I make allowances for excessive throws in my transmitter setup? If the last hole wasn't cut off, the servo arm would hit the other servo. mine doesnt hit. i am using the servos that come with the power pack B.
I scratch built a Simple Soarer with some modifications. 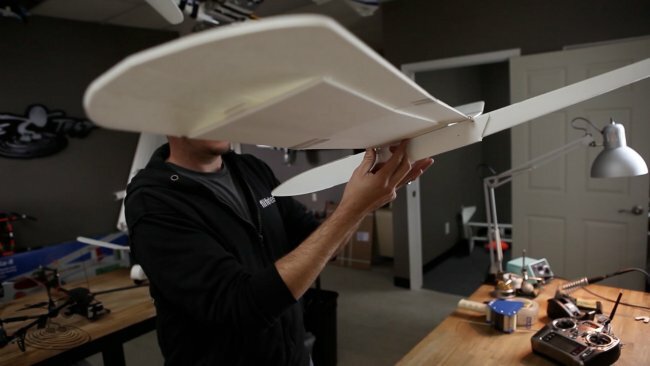 I built the wing with a small amount of dihedral and added 1 1/2" ailerons with a servo each. I modified the fuselage by building the non powered pod with a firewall for a Emax "red" motor. The plane balances with a 1300 mah 3 cell battery with no added weight. It flies beyond my expectations. The wing is definitely a 'High lift" type and it had no trouble catching "uplift" on a very cloudy cold day (no thermals!). The reason I used a servo per aileron is that I wanted to camber the wing with the flaperons--which makes the wing more efficient and results in longer flight times. 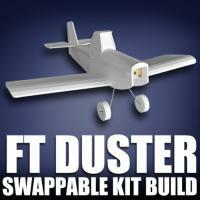 The two piece fuselage is a great idea as if you severely damage the pod, it is easy to build a replacement. 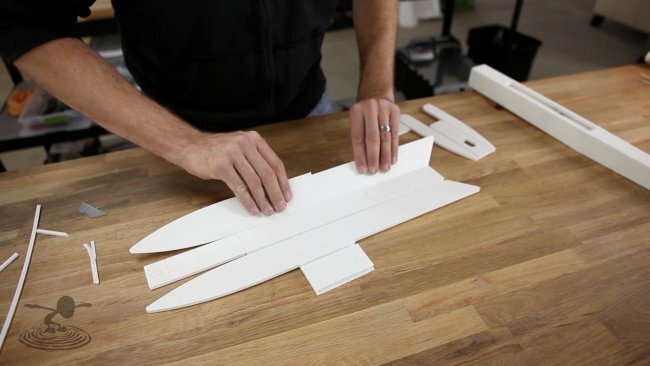 I am truly amazed at the performance of the $2.00 foam board sailplane and plan to use this technology to build other types of gliders/sailplanes. 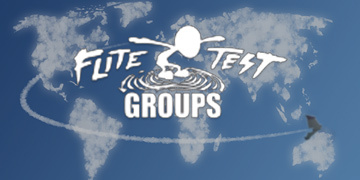 Thanks Flite Test!! Just finished building and flying the SS as a motor-glider. I used Trackskid's power pod mod, buipding it with 4 extra inches. 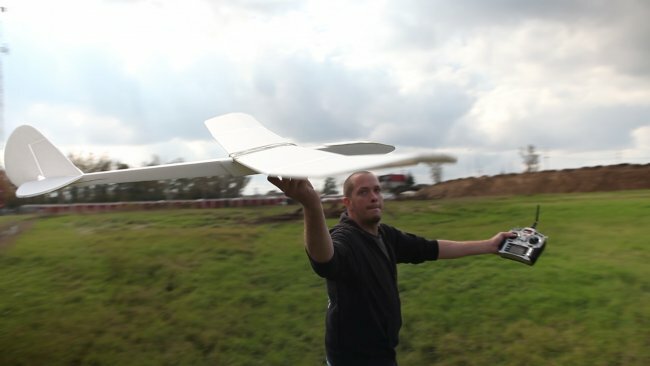 Balances good with a 3s 1100 battery just in front of the leading edge of the wing. I used the standard glider nose pod and just trimmed it a little. Works great. Using a blue wonder with 8" folding prop. Need to get it up on a less gusty day, as we've got 15 steady, gusting to 25! The gusts made it a bit exciting when near the big oaks surrounding my field! In case of a tumble, it seems the narrow point of the tail is the point of failure. I lightly glued a skewer along the bottom as a stiffener. Does anyone know if this requires servo extensions, t wasn't mentioned in the build, but I'm not sure, is the fit really tight wthout them? no, you do not need servo extensions. Are there any plans for the tow hook you used in the challenge? Hi -- I am very new to this hobby wanting to build this as a first plane. However I cannot find information on a suitable motor. The suggested motor is "MOTOR (Option 1) - "Blue Wonder" 2712-12 24g" but it is out of stock at the linked vendor and strangely I cannot find any other vendors or even a data sheet on this. What type of motor should I be looking for and what type of specifications? My model has a weight issue or a scale issue...Where did Maurice(above, same issue) and I go wrong??? I have cut out the parts, and put them on the scale, and with just the foam board it weighs 460 grams. The electronics (battery, receiver, speed control, 3 servos, motor and prop) add another 142 grams. I will be about 700 grams when it is done... just like Maurice. Any guidance would be appreciated! At least I caught the issue before I assemble it. Not sure you got a reply on this. 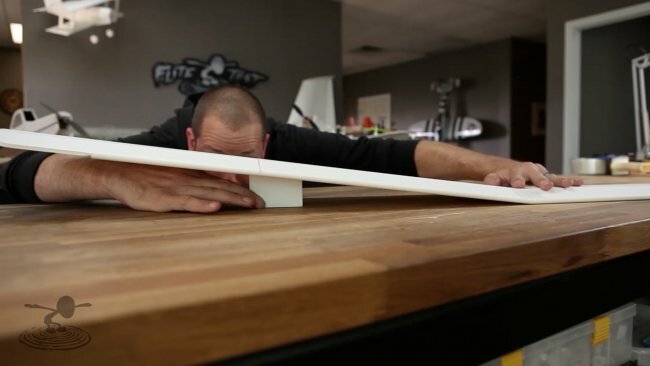 Never never use Elmers Foam board to build FT planes. They will look fantastic but they won't fly. The Elmer's foam is much too heavy. The best foam board I've found is Adam's from Dollartree. It is very light, nice and rigid and the paper peels off very easily if needed. stick a TON of plain old no dry modelling clay (like playdough) in the nose until it balances like in the build video. CG is just under the spar maybe a bit forwards of the spar. Can I still use this plane without electronics? How many sheets of foam board do you need? I think I did it with 3 sheets. 99% positive it takes up 2.5 sheets of dtfb. We modified the Simple Soarer design by adding a 6" prop mounted above and in front of the wing to be able to launch and sustain flight without using a Hi - Start system. Also the high mounted mtr/prop are less likely to be damaged in a nose-down, rough landing. It flies beautifully from the first toss. Would recommend this modification if anyone is looking to add a little power. It is slow and steady, great for a beginner like me. Looks majestic in the air, like watching an eagle soar. Have several pix if anyone is interested. could you send a link to the pix. My first SS lasted a long time but Iwas always plagued with rough landings and motor crashes. 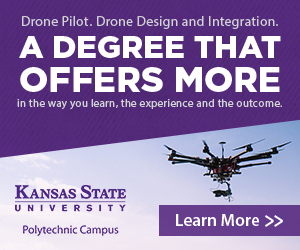 I would like to try a pylon mounted motor and your approach sounds just right. 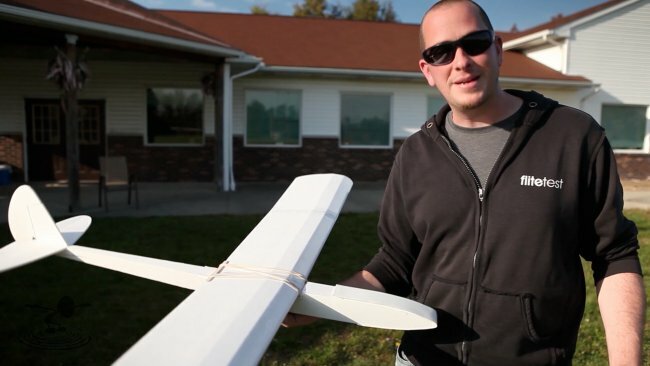 Very good and easy to build glider.if you try build this with depron use 6mm instead of 3mm depron sheet. can you chuck this glider without the electronics? As long as it's balanced well it should be fine. If really want to get some distance out of it, do a high start or bungee launch. Will this fly with a 2200 mAh battery from Turnigy? (I am worried about the weight). Has anyone had aft CG issues? It is taking a lot of weight to get CG correct. Am I doing something wrong or is there a solution that does require what seems to be an excessive amount of weight to the nose. Using power pack B with 500mW 3s battery. Have battery as far forward as possible. Would extending power pod forward create a longer arm forward of the CG and reduce need for more weight with a shorter arm? Yeah, me too. With either the glider nose or the power pack B and a 1000 mW battery, the CG is way behind the indicated balance points. It takes another 55 g to get the CG in the ballpark. Does that sound right to anybody? I think you're on right path. I saw in comments somewhere here or in power pod comments where they talked about adding 2" . Maybe a larger battery? mW battery? I thought we measured in mah?.... well anyways i have a 1Ah (1000mah) nanotech battery and it doesnt weigh it down enough in the nose. i might have to add some clay. CG is right under the spar, correct? towards the front of the spar? The link to the "tiled plan" seems to be broken. Has anyone put a wood spar in this? I fear I'll break the wing trying to save a deep dive while teaching my kids. what power pack would you use? B or C. B for more of a motor glider. C for more powa!!! 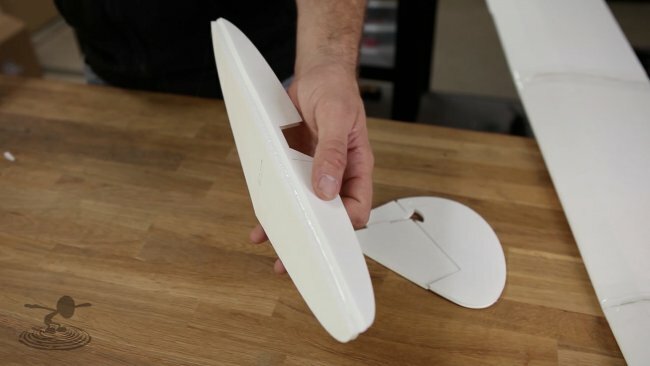 do you print it on a4 or a3 paper for the scratch build? A4 is closest to the standard 8.5 by 11 inch copy/print paper. A3 is quite a bit bigger so if you wanted a smaller plane you could use that. I just built one. i might build another because the one i just did didn't turn out too good. I messed up a bit with the fuselage. 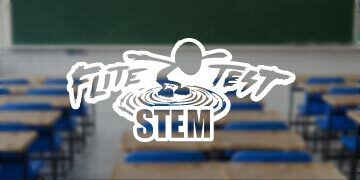 I'm teaching about aerodynamics in PLTW class and as a project we are building gliders, supplies are at a minimal, what size sheet of foam core is needed to build the simple soarer?